Northwest Creative Imaging offers the largest selection of trade show stands on the internet. 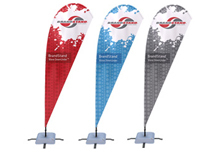 We have everything from low cost retractable banner stands to double sided scrolling banner stands. All of our banner are printed in the United States for quality and fast turnaround. Our outdoor banner stand selection is very comprehensive and combines all styles of outdoor banners into one place. Our hanging banners are very affordable and are sure to make an impact at any show. Please view our entire selection to find the perfect trade show stand! 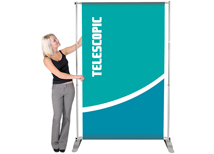 Banner stands are a great option for companies looking for an affordable graphic display that is highly portable. You can combine multiple banner stands to create a graphic back wall! 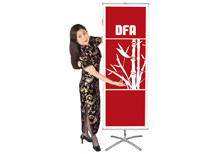 Our premium retractable banner stands are the highest quality trade show stands available. With NWCI pricing you can get a high quality banner stand for a very affordable price! 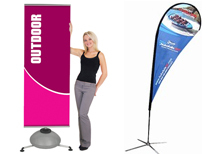 Our outdoor banner stand selection is one of the largest on the internet. We have teardrop and feather outdoor banners for all your marketing needs! Quantity pricing available! 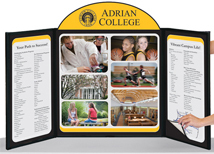 Our line of bulk banner displays is designed for company's looking to purchase in volume. All of these banners are imported from China in lots of six and are sold the same way to bring maximum savings to the end user! We offer the most affordable panel systems on the market. These panels systems are lightweight and portable but still maintain quality. Backlit headers are available to make your display stand out for a low price. 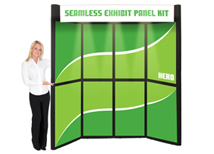 We carry a complete line of tabletop displays ranging from pop up displays to folding panel systems. If you need to display on a table top then we will have an option for you that will be priced lower than the competition. Our trade show accessory line consists of lighting, cases, counters, promotional counters, table throws, and promotional items. We carry a full line so you can have a one stop shopping experience. We can custom print any trade show or large format graphic. Our printers have thousands of display specs on file and are capable of printing any large format graphic in a variety of materials! Starting at $1.85 per sq. ft.
Trade show stands are a great option for exhibitors looking for maximum impact with low costs. We carry every type of trade show stand available on the market so you can find exactly what you need. We also offer bulk banner displays that are packaged in bundles of six with volume discounting applied. 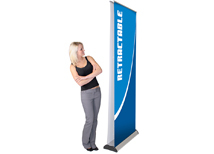 Retractable banner stands are still the most popular banner stand option because of their easy set up and versatility. We carry multiple materials for every trade show stand so you can match the correct material to your needs. 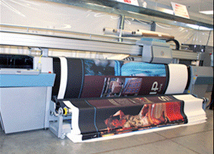 We have a full section of large format printing that explains every material. We also carry many other products other that trade show stands including pop up displays which are one of the most popular display options in the United States. 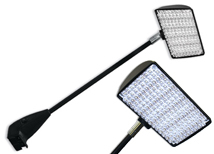 They are very easy to set up and are very low cost in comparison to their impact at trade shows. 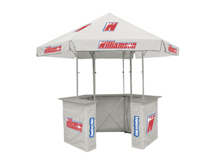 We also carry a full line of trade show accessories that can compliment your booth. We offer counters and lights that can be added to any trade show display!